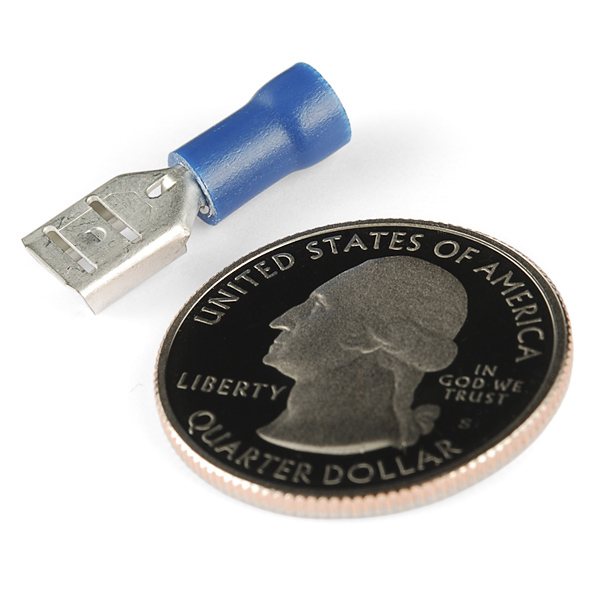 These Female quick-disconnects are about 1/4" wide and can be crimped onto 16-14 AWG wire. Mating connectors can be found in the related items. This doesn't make a ton of sense to me. You have the males, both 1/5 and 1/4, in the "red size" (22-16) and the females in the "blue size" (16-14). I usually connect wires of the same size... 1/4", female, red size I would think would be the most common. These aren't intended as inline connectors! 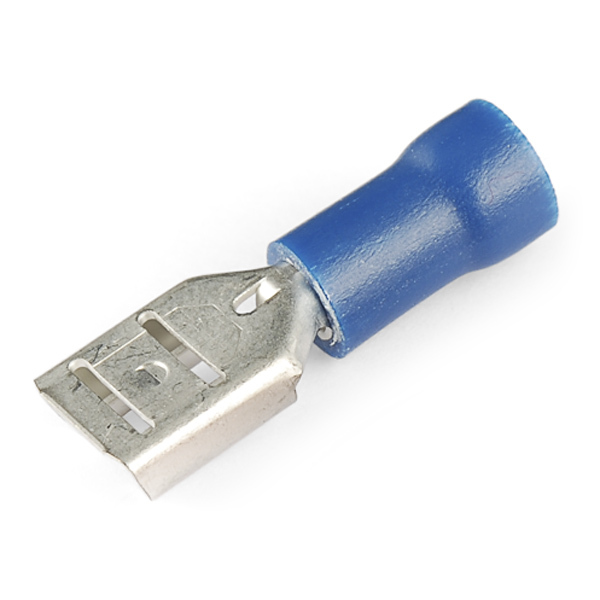 The barrel part is insulated, but the terminal part is not, and if you mate a male/female pair of these, you'll have exposed metal and you'll need to insulate it separately. Just use a real connector. These are intended for use with components that have terminals sticking out, like switches. There, the body of the component holds the terminals so they don't touch. I'd like to see an actual answer to EliTheIceMan's question. His point is valid, regardless of use. 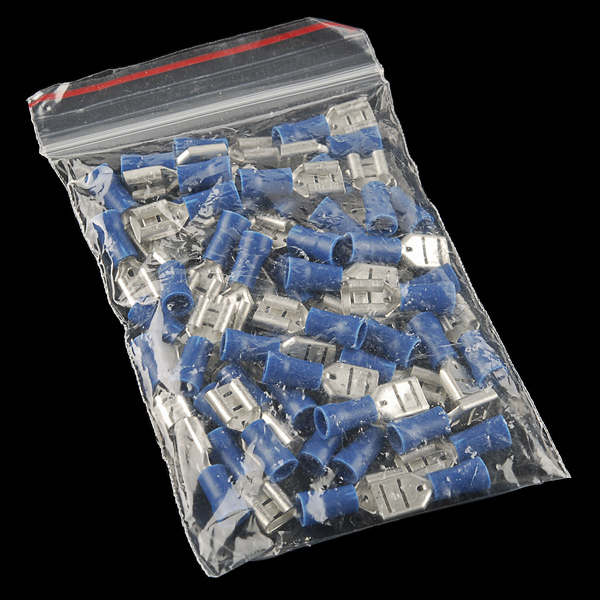 If the wire I have is small, and I need a female connector, then I need a RED female connector, because those are for 22-16 AWG. Then I can put it on whatever I'm putting it on and insulate it as I see fit. There should be males and females in both red (22-16 AWG) and blue (16-14 AWG) offered. It's crazy to me that this continues to be an issue 2 years later. I have had multiple emails with sparkfun customer service about this, and I have confirmed that at least one person there understands the difference between the red and blue connectors, and assured me they'd get it fixed. Yet here we are.